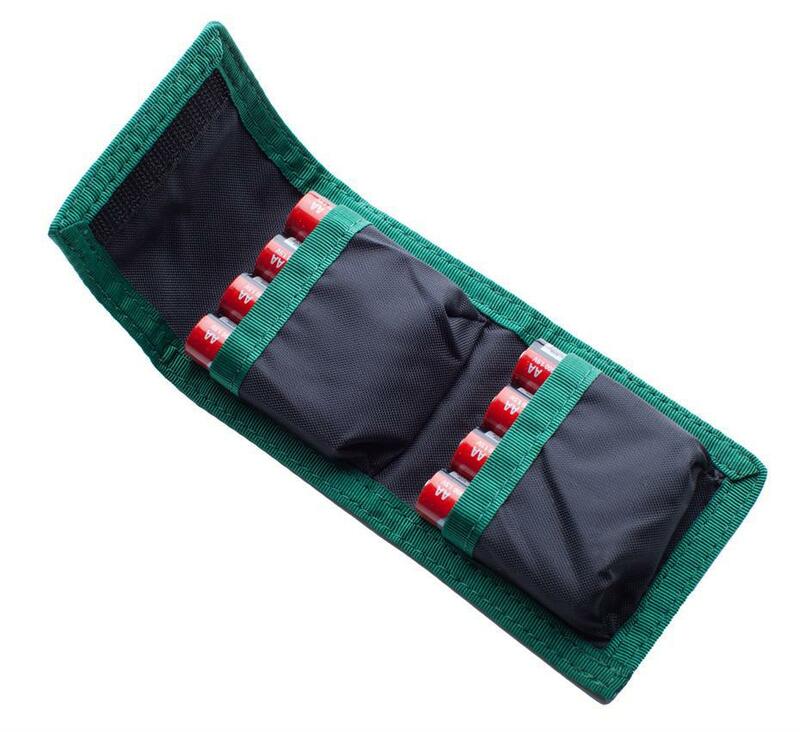 Soft, compact case for carrying eight AA batteries. Having your extra camera batteries to hand avoids the problem of running out of power. The slim, collapsible, compact design secures two standard size camera batteries. 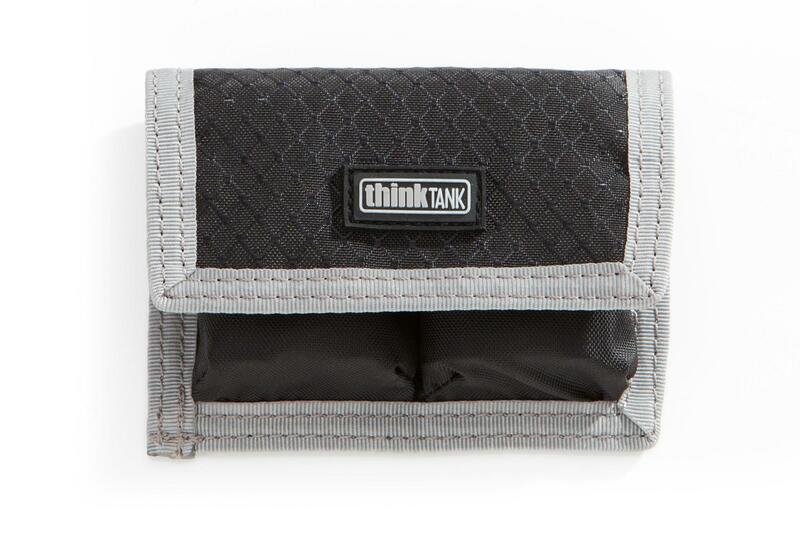 Stow them into any Think Tank Photo bag, skin or pouch and always be juiced up and ready, “before the moment”. 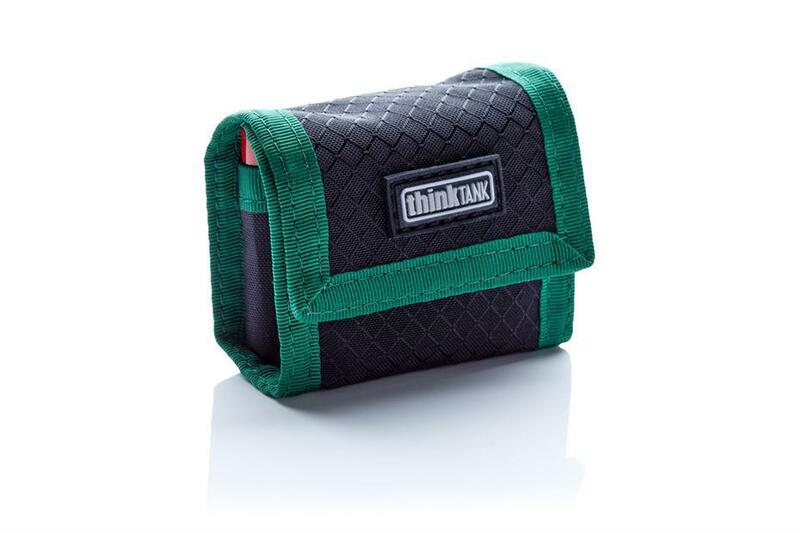 This holder also contributes to keeping things organized and eliminating clutter in the bottom of your bag.